"Feast and Famine" | Guest Post | But What Are They Eating? “Feast and Famine” | Guest Post | But What Are They Eating? Shelly Workinger recently asked author Mark David Major to write a guest post for her Food Fiction blog, But What Are They Eating? 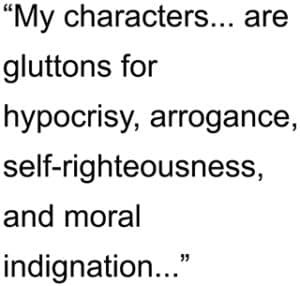 The article “Feast and Famine” discusses what the characters of The Persistence of Memory and Other Plays (The Persistence of Memory, The Truth of Glances, and Song of My Childhood) might be eating amidst their trials of young love and emotional honesty. It was posted on November 3, 2016. Read the full article on But What Are They Eating? 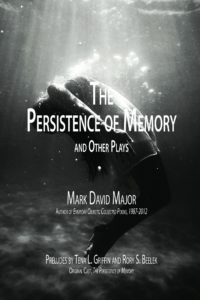 The Persistence of Memory and Other Plays (Large Print Edition) is now available for purchase from CreateSpace, Amazon, Kindle, and other online retailers around the world. Be sure to check the online store in your country/currency (USA stores available below).